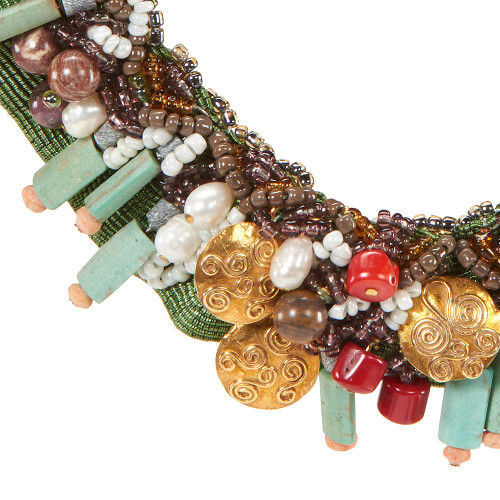 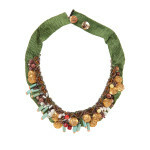 A narrow necklace in green silk with lovely stones cylinders and corals. It is an accessory profusely embroidered with brown, metallic and amber tiny bids. It shows random golden disc that make the design playful and interesting.